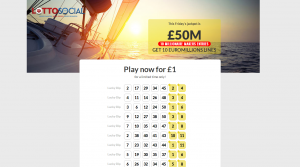 Lotto Social Review – £1 for 10 EuroMillions & £10 Credit! Lotto Social is the official home on the Internet for lotto lovers where you get loads of chances to win for less money. They are owned by Txt Lotto Ltd who are based in the UK. 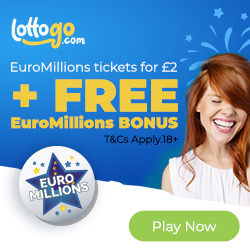 They offer a special club where lotto players can come together to play in syndicates to try and win the biggest cash prizes or even millions of pound jackpots. You can play within a syndicate of 49 other players on the UK Lotto and EuroMillions draws. By signing up with Lotto Social today you will get access to their exclusive new promotion. 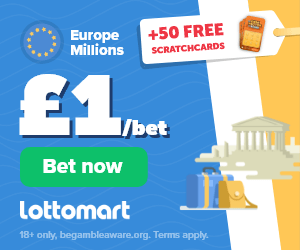 Simply pay just £1 and you will get 10 EuroMillions syndicated lines plus 10 millionaire maker entries into the next draw. You will also get £10 bonus credit added to your account to spend on other lotteries and 5 x Instant Win games where you can win up to £7000. Once the promotional period has expired if you choose to continue your subscription you will be charged at £5 / week. (billed weekly) The £5 will give you 20 entries into the Tuesday night and Friday night EuroMillions draws plus 20 raffle entries. You can cancel at any time. By logging into your account regularly, liking Lotto Social on Facebook, providing feedback and winning Instant Win games you will get reward points. Your reward point balance can be seen at any time in your account on the bottom left of the screen. Once you have enough reward points you can go on the ‘store’ and purchase products including lottery lines and more. Each syndicate at Lotto-social.com is made up of a maximum of 49 other players. If you win a prize it will be split equally with the other members of your syndicate. To increase your chances of winning you could consider joining multiple syndicates but this increase the cost of your subscription. They accept payment for your tickets via debit/credit card, Skrill or once you have signed up via direct debit. If you are paying via direct debit it can take up to 2 weeks to set it up. Once your direct debit is set up you will then be entered into the next draw. For all other payment methods, you will go straight into the next available draw. If your prize is a small win below 60p then you will be entered into a bonus draw where you win Lottery tickets for future draws. Anything above 60p but below £1000 will be added to your member account. As soon as your balance is above £5 you can request a payment which will be sent to you via cheque or via the other payment methods that are specified in your account under the ‘make a claim’ section. If you win over £1000 you need to contact their customer service who will go through the claim process with you. Won £300 on their monthly prize draw, can’t complaint! The site is easy to use – I always win a few quid here and there – but wish it’s bigger. Maybe one day! I’m happy playing here I never miss a draw and have won quite a few prizes. Not the jackpot yet but maybe i will one day!